← What to Do With Pesky Coyotes? Question: For generations, our family has bought annual hunting and fishing licenses and then proudly saved each license over the years as collectable pieces of our family history. Why after so many years have you chosen to discontinue these traditional style licenses in favor of just computer printouts? Answer: While many may miss the traditional style licenses, this new computer system enables the Department of Fish and Game (DFG to) maintain an accurate and complete customer license database. It ensures everyone is licensed correctly, customers can quickly retrieve their license information to replace lost licenses and annual renewals will be much easier. It also reduces fraud and the official license sent from DFG is actually much less destructible than the more ornate licenses of the past. Best of all, for most anglers (and soon hunters) using this new computer system, they can purchase annual and short-term licenses, privileges and harvest/report cards online from their home computers. Only the licenses and privileges can be printed and used immediately though. They have to wait to receive the actual tags and harvest/report cards in the mail before engaging in the activity. Question: I just purchased my annual sport fishing license and the salmon and sturgeon report cards, and received almost 10 feet of documents! Why so long and how useable are all of these documents? Answer: California fishing and hunting license sales are now processed through DFG’s new Automated License Data System (ALDS). Anglers and hunters can expect their annual fishing and hunting licenses to now be approximately six inches long. The new harvest/report cards run between 28 and 47 inches each in length. When a license with multiple harvest/report cards are purchased and printed together, the resulting document can extend over 10 feet. In most cases, the new design is longer simply because the same instructions and regulations previously printed on the front and back of the old cards are now printed only on the front of the new ALDS harvest/report cards. The unavoidable result is the documents running longer. To reduce the length, trim off the instructions portion to store elsewhere. Each document is unique and can be separated from each other. Thus, bring only the cards you intend to use during your activity. The licenses and harvest report cards fold up to a very usable size – even the longest items will easily fold to wallet size. In many cases, the folded ALDS license item is smaller than its previous counterpart issued under the manual paper license system. If you have an old license holder around, try folding and inserting your license and harvest/report cards into it, and you’ll likely find your new documents to be small in size and the license holder will protect your documents and keep them handy. Question: My family tried to buy me a fishing license as a gift but because personal information is now required to purchase licenses, they didn’t want to give out their own personal info. How can fishing licenses be bought as gifts? Answer: Gift license vouchers are available at all license agent locations and all DFG sales offices. They can be redeemed for an annual Resident Sport Fishing License at all license agent locations and at all DFG sales office locations. The purchaser doesn’t have to provide any personal information, only the angler when he/she redeems the voucher for their license. Question: I just purchased my new hunting license and California duck stamp and received a license with the California duck stamp “privilege” listed, but no stamp. What happened to the actual California duck stamp that I have collected for years? Don’t I need the stamp affixed to my license to hunt? Answer: Our new automated system handles stamps much differently by providing the privilege or validation right on the license. 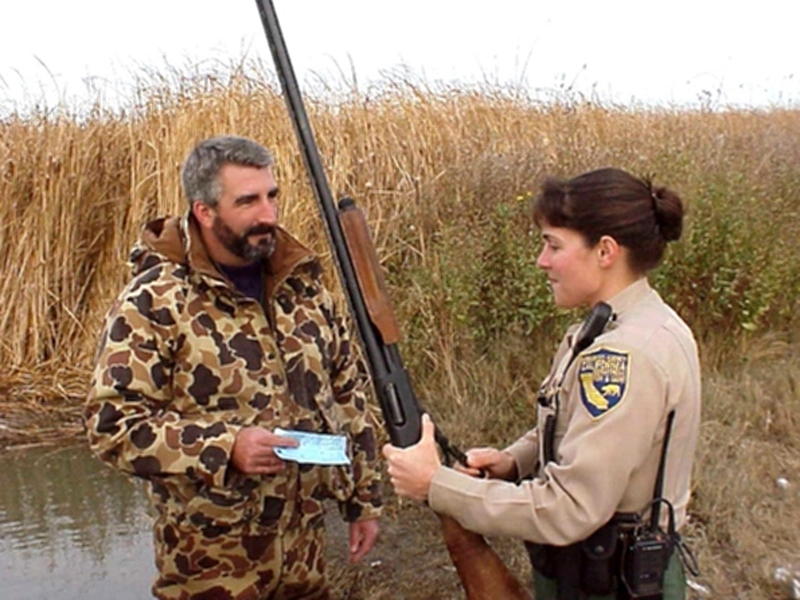 You no longer need the physical stamp to hunt – only the privilege printed on the license. We realize how much the physical stamp is appreciated; therefore, we have continued to produce them. While you don’t need to have them affixed to your license like in the past, DFG will send the physical stamp to you at the end of the season. By law, we can distribute a “duplicate” stamp only after the 2010/2011 season, so look for it sometime after July 1, 2011. This entry was posted in Info, Licensing/Permits/Stamps/Report Cards and tagged Duck Hunting, fishing, Licenses, regulations. Bookmark the permalink.